Secondary Evidence—Photostat Copy of document—Permission for leading secondary evidence not to be declined merely on ground that a photostat copy being something which can be easily manipulated. 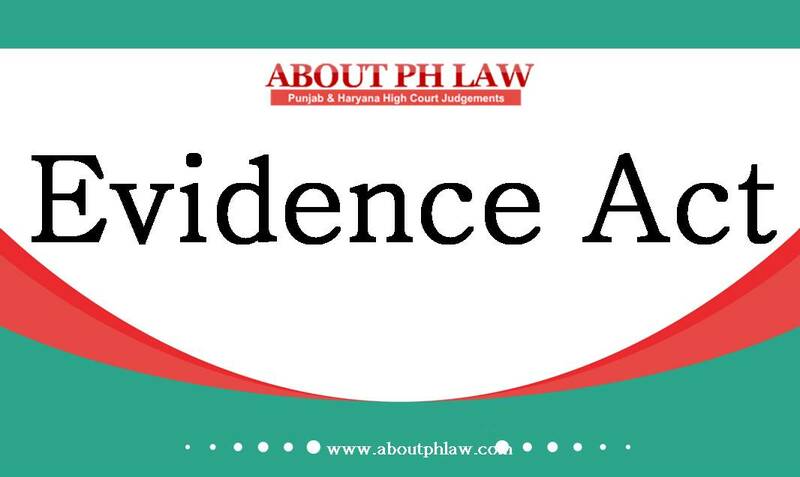 Comments Off on Secondary Evidence—Photostat Copy of document—Permission for leading secondary evidence not to be declined merely on ground that a photostat copy being something which can be easily manipulated. Secondary Evidence— in absence of original documents the photocopies could not be relied upon. Comments Off on Secondary Evidence— in absence of original documents the photocopies could not be relied upon. Secondary Evidence—Application should not be dismissed without giving a chance to prove on record the existence or loss of original document. Comments Off on Secondary Evidence—Application should not be dismissed without giving a chance to prove on record the existence or loss of original document.